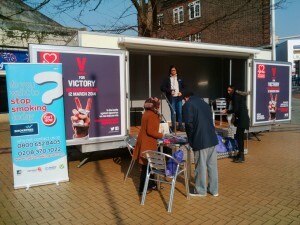 We are setting up trailers all over England today for national No Smoking Day 2014. Catch us on a high street near you! 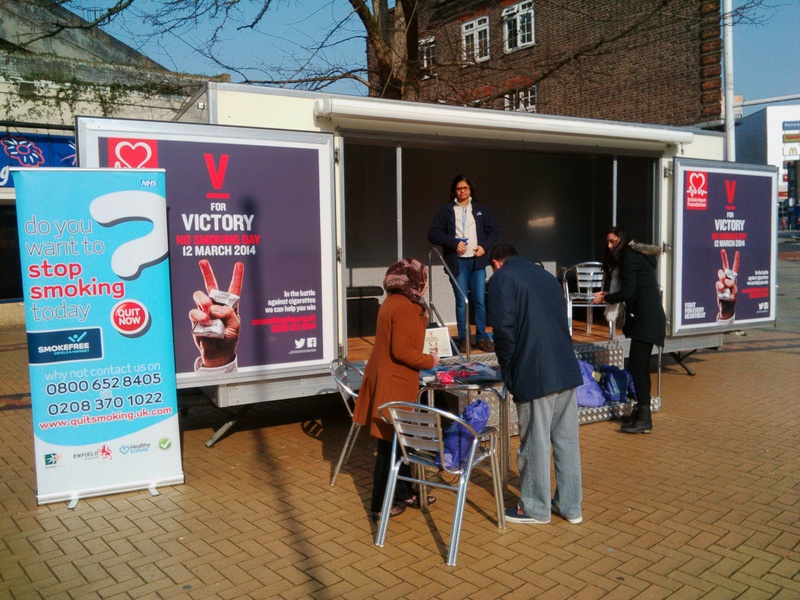 Pictured is the lovely team from Enfield and Haringey setting up at Wood Green library. If you’d like information on how trailers from TCM can help your local Stop Smoking services reach out into their local communities, call Lindsey on 01543 255452. This entry was posted on Wednesday, March 12th, 2014 at 11:11 am	and is filed under Uncategorized. You can follow any responses to this entry through the RSS 2.0 feed.You can leave a response, or trackback from your own site.